Every question you've ever asked yourself about siargao answered by us, the locals! From visas to weather, safety & everything in between. The best of Siargao, where to eat, hang, and what not. Tried and loved by the team at Fat Lips Surf Shop. Not sure where to surf? What's the best swell, direction & wind? We've done the hard work and compiled it into this handy guide. At Fat Lips you'll find everything you need to enjoy a surf holiday in Siargao. We carry a great selection of all the usual gear like board shorts, fins, leashes, and rash guards as well as many hard to find items like earplugs, Solarez, fin plugs and screws, and reef shoes. Besides our surf gear, we also carry a large assortment of clothing, hats, and accessories from our favorite local surf brands. In addition, we have all the beach gear you're looking for like waterproof dry bags, beach towels, sunscreens, and zinc. Souvenir items? Ya, we got that covered too and we do our best to offer souvenirs that your loved ones will actually be happy to receive. Frankly, if we don't have what you're looking for at Fat Lips, then you won't find it anywhere else in Siargao. Fat Lips is more than just a surf shop, it's an all-in-one store designed to help make your vacation as smooth as possible. As such, we've become the most trusted name in Siargao for all your rentals needs. We have over 70 surfboards, a fleet of motorbikes and scooters, motorcyle helmets, and snorkels & masks all for rent. In fact, if there's anything we don't rent at Fat Lips let us know and we'll do our best to find it for you! 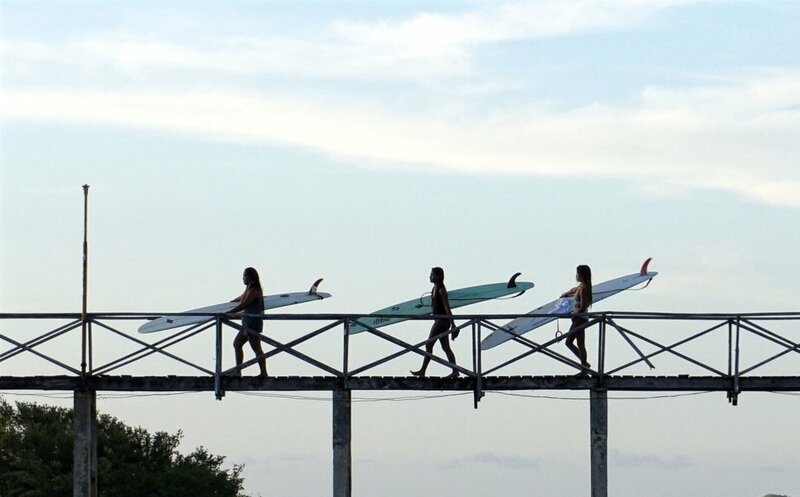 Wanna learn how to surf but don't know where to start? Check out our lessons, guiding, or daily and multi-day surf packages, in partnership with Siargao's oldest and most reputable surf school. From island hopping to Sugba Lagoon to private boat trips, Fat Lips can help you book all your Siargao tours.